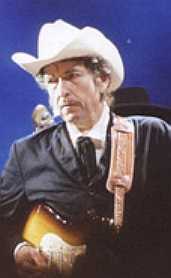 On August 15th 2002, in Hamburg, New York, Bob Dylan introduced the latest gospel cover song into his song repertoire; opening the show with "A VOICE FROM ON HIGH", a song written by Bill Monroe and Bessie Lee Mauldin. One day later, in Toronto, Canada, this beautiful song was performed again already, and also three days after that in Southampton. Three more times it appeared that August, in Omaha, in Sioux Falls, and in Fargo. 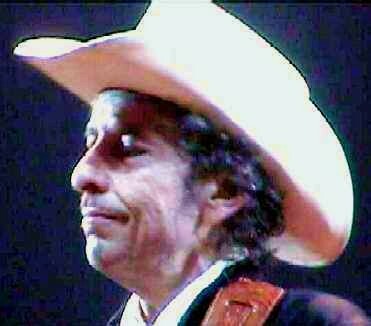 In October in Eugene "A VOICE FROM ON HIGH" appeared in the middle of the set, but as in Omaha in August it once more preceded an acoustic "SEÑOR". For while we were still weak, at the right time Christ died for the ungodly. For one will scarcely die for a righteous person - though perhaps for a good person one would dare even to die - but God shows his love for us in that while we were still sinners, Christ died for us. Since, therefore, we have now been justified by his blood, much more shall we be saved by him from the wrath of God. For if while we were enemies we were reconciled to God by the death of his Son, much more, now that we are reconciled, shall we be saved by his life.